Are you college planning with your child and want to get the most for your time and money? One of the best things you can do is ask the right questions. 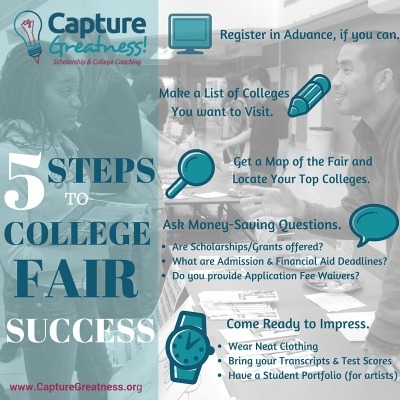 So, here’s my top five, that I suggest you ask college admission officers when you meet them at college fairs, during college tours, and even through email. Does your school take the Common App? 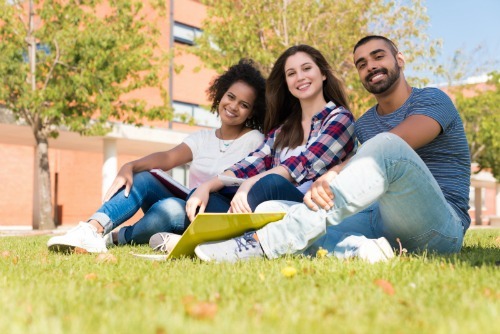 – Many high schools and individual students are turning to the Common Application to complete multiple admission applications in one shot. If your child is applying to more than three schools, this is an option you might want to consider. Do you offer Application Fee Waivers? – We often don’t think of the cost of applying to schools as a major expense, but typical application fees can range between $10 – $75. For a student applying to five schools, $50 – $375 could come in handy when it’s time to pay dorm deposits and buy textbooks. What are upcoming Open House Dates? – The best way to get a feel for a school is to visit. For the schools that you are seriously considering, you’ll find that an open house event is more engaging than a traditional campus tour and information session. What are your Application deadlines? – There is no disappointment like wanting to attend a college and being denied the opportunity just because you missed the application deadline. While the university might have one deadline for general admissions, each college or school could a different deadline for particular majors. What Scholarships and Institutional Aid do you offer? – Every school has its own pot of money to award to deserving students. You want to find out how its awarded – is it merit-based or need-based – and how to apply. Be sure to ask about any early deadlines for grant and scholarship opportunities.